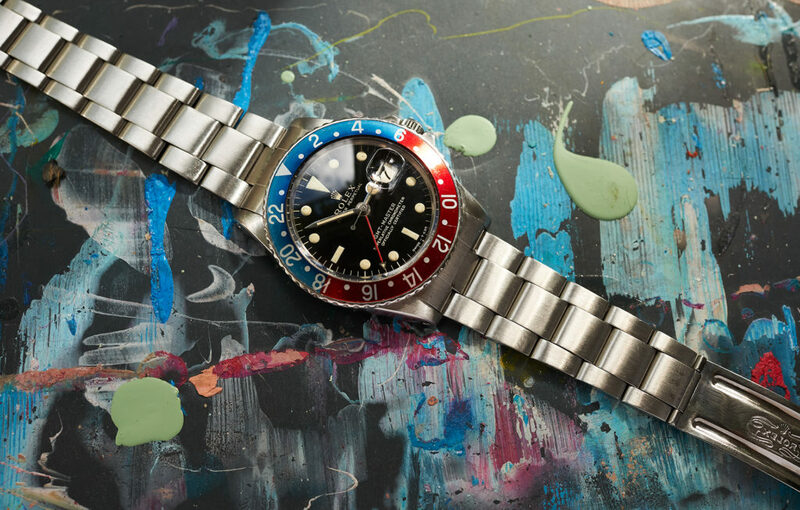 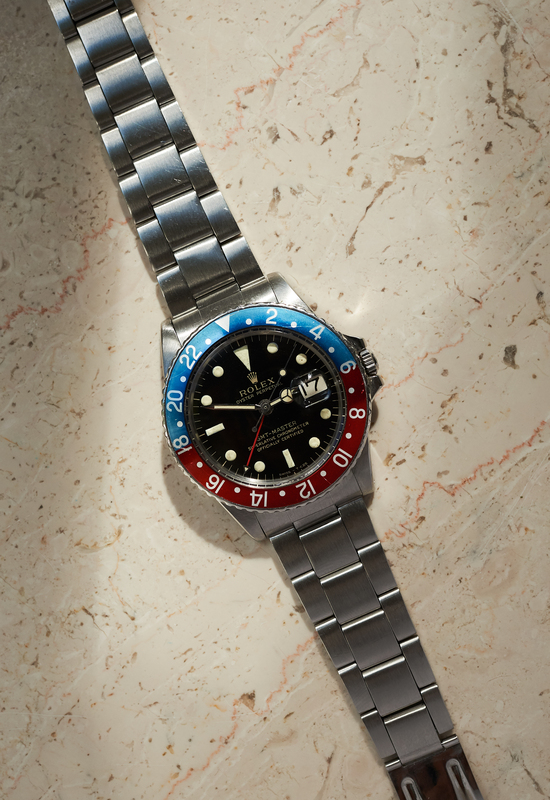 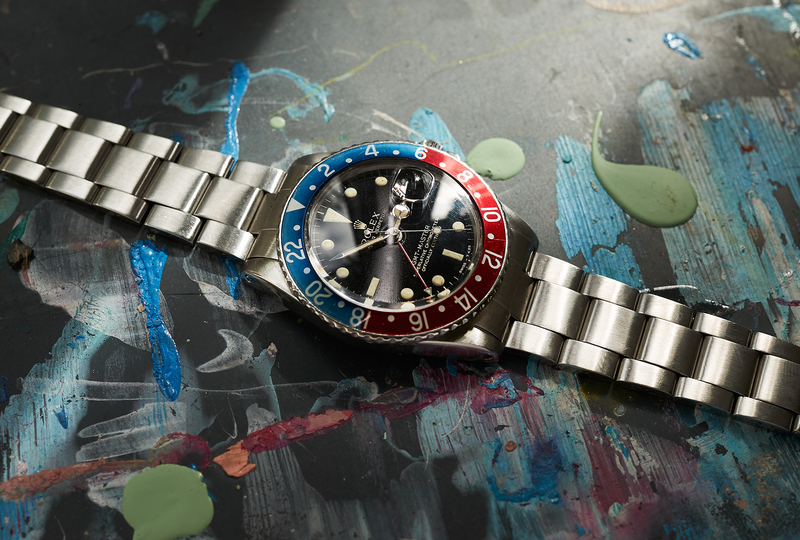 We are happy to be able to offer another stunning Rolex 1675 GMT Master. 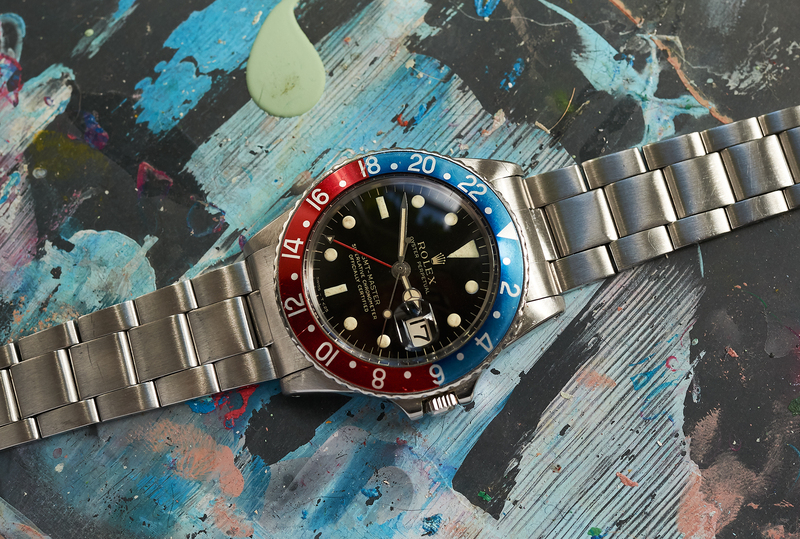 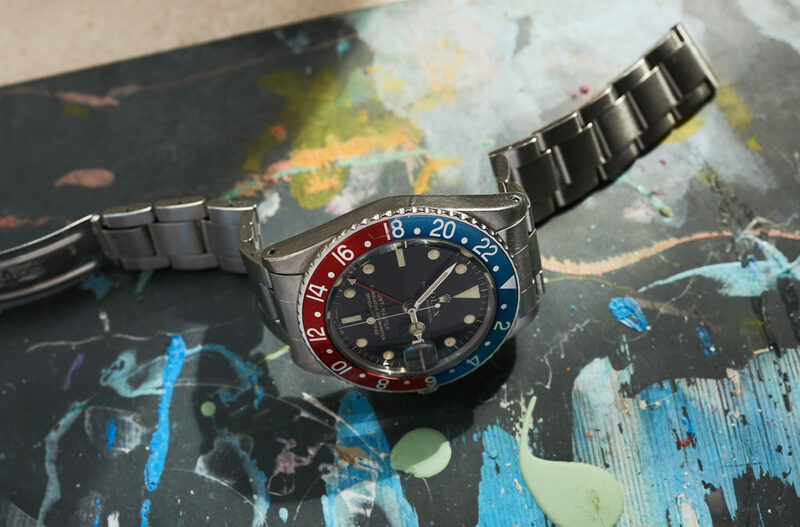 This rare piece from early 1967 comes in all authentic condition and with an awesome untouched glossy dial with gilt printing, colormatching the also unmolested handset with the „small triangle“ 24 hour hand. 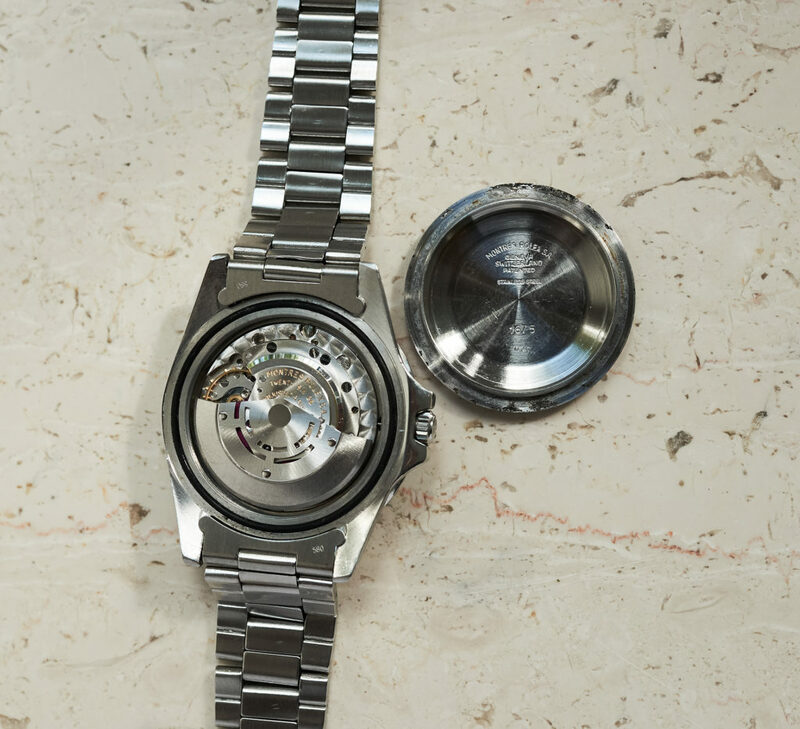 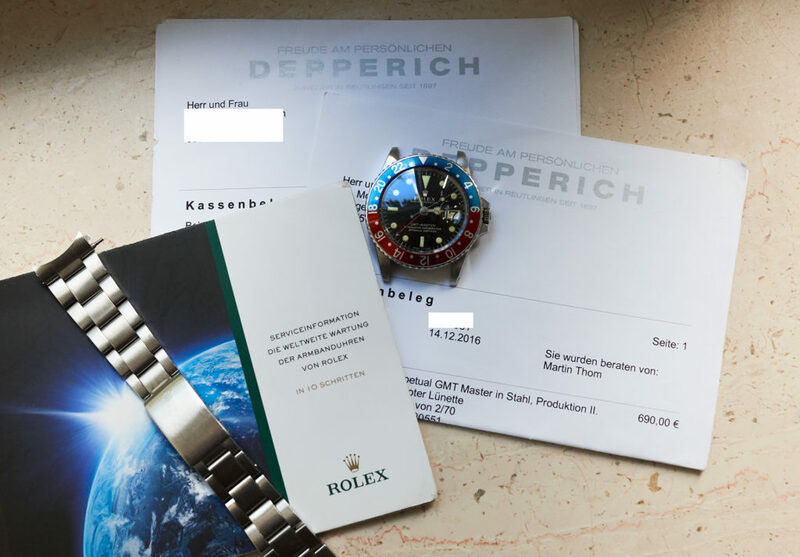 The watch has received a full service by Rolex (Depperich/Reutlingen) just 1,5 years ago. 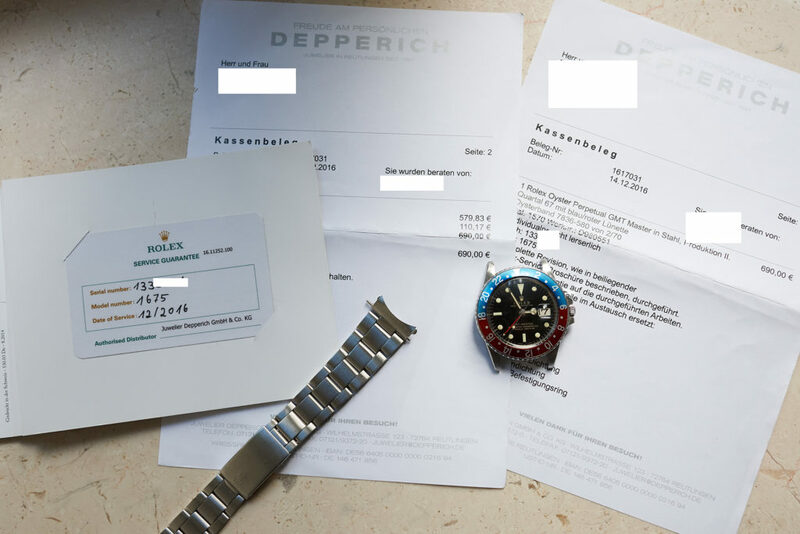 Servicepapers by Rolex and invoice will be delivered with. 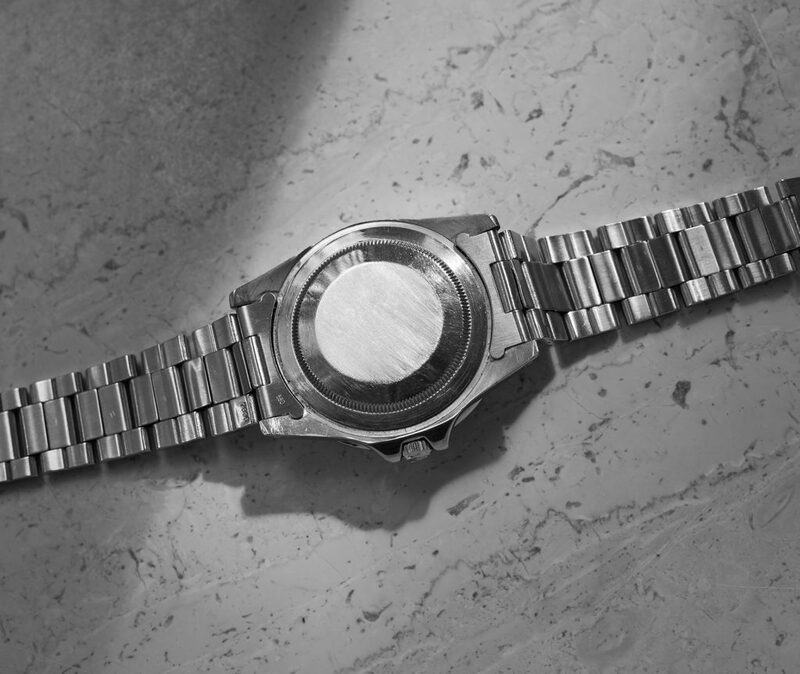 The case (1,33 mio) is still in a fat and nice condition showing all engravings between lugs and on caseback you wanted to see. 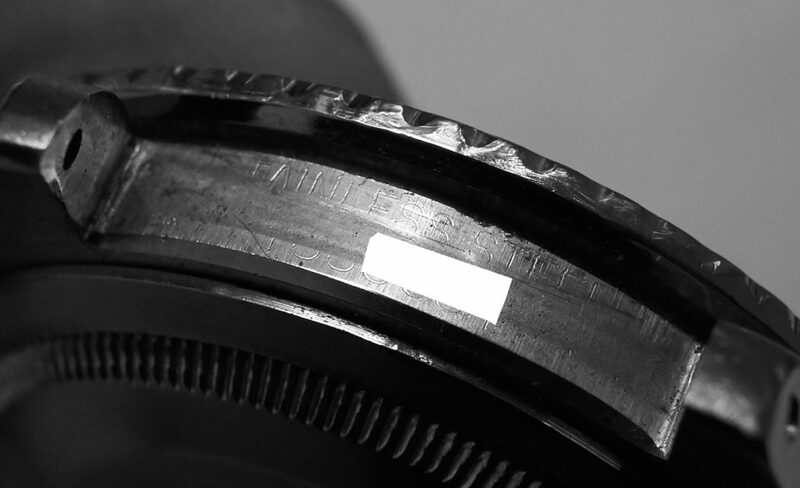 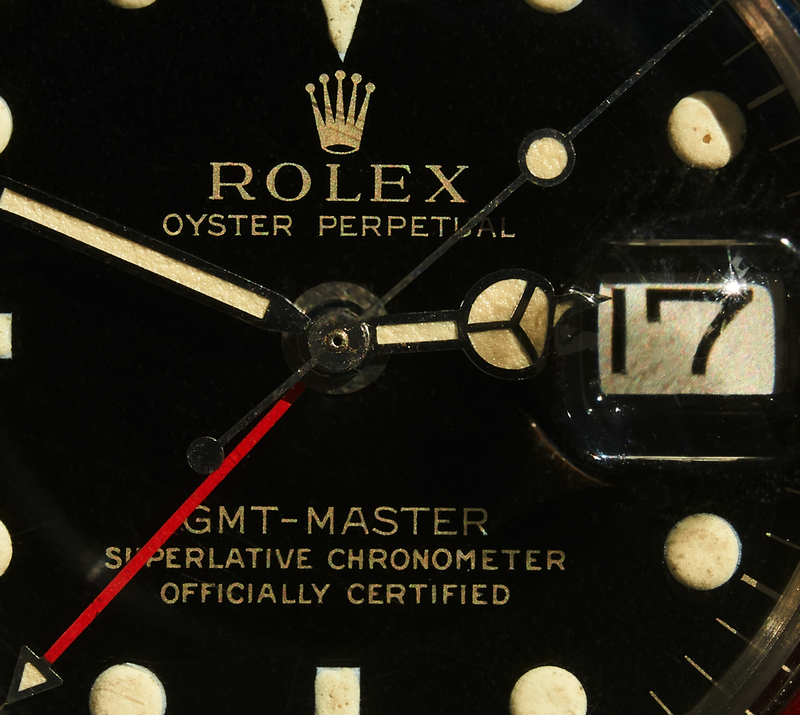 It´s bezel is carrying a beautifully faded „redback“ insert with fat font. 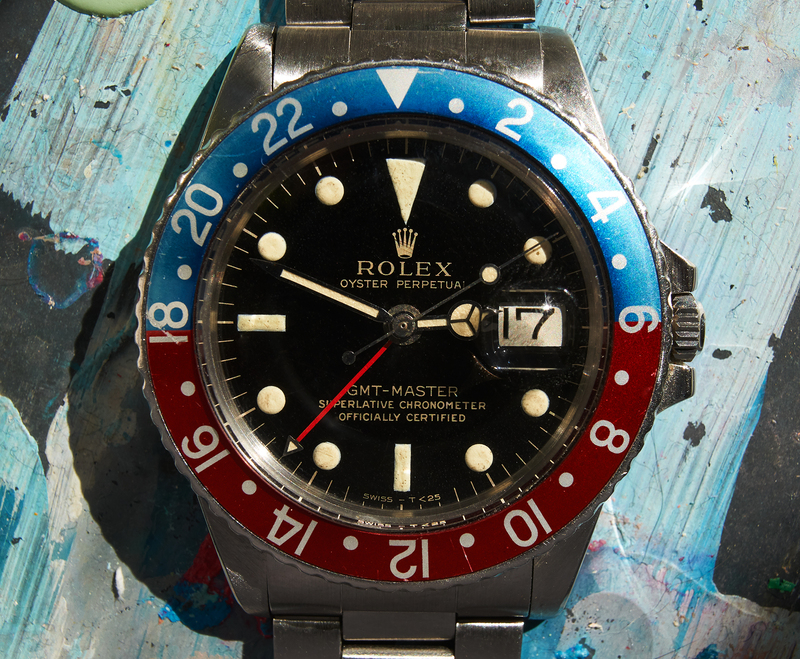 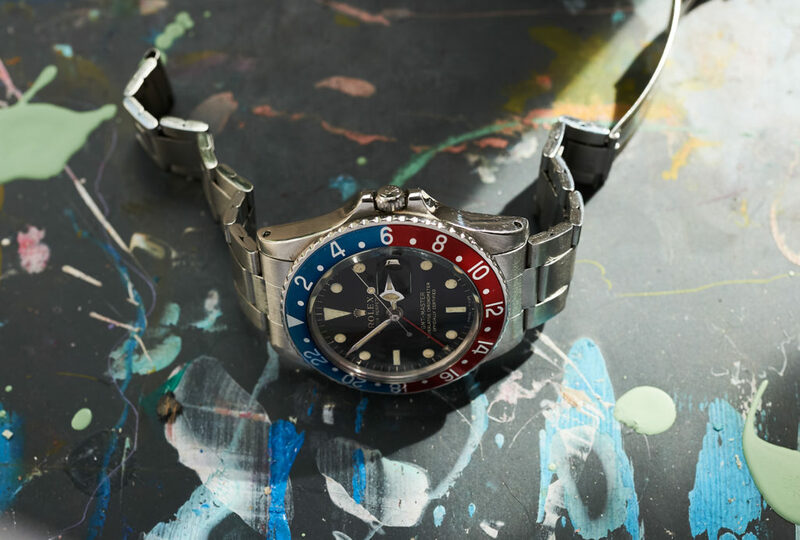 This rare vintage rolex comes on a folded oysterbracelet (code 70).